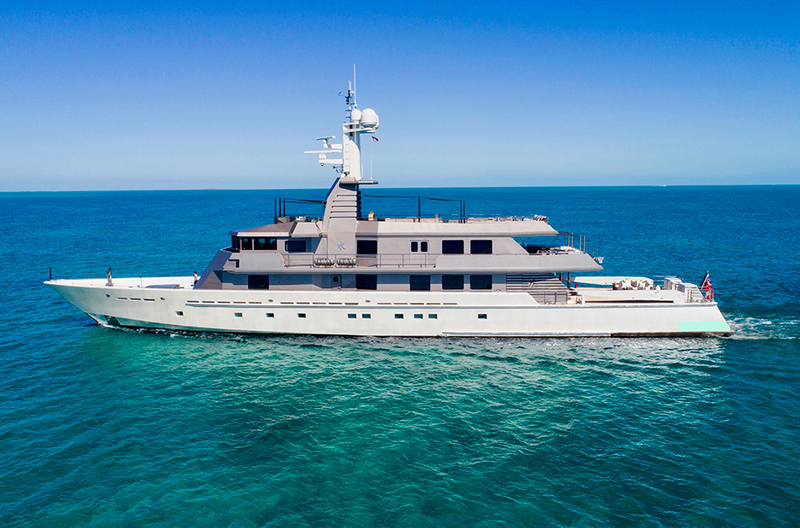 With an exhilarating top speed of 28 knots and an impressive long-range cruising capability, MIZU is the definition of an ocean-going yacht. 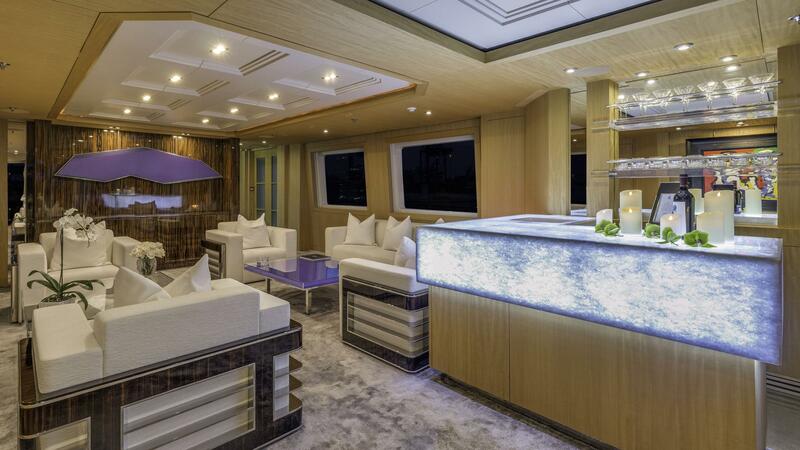 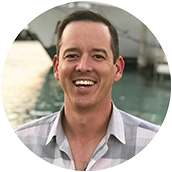 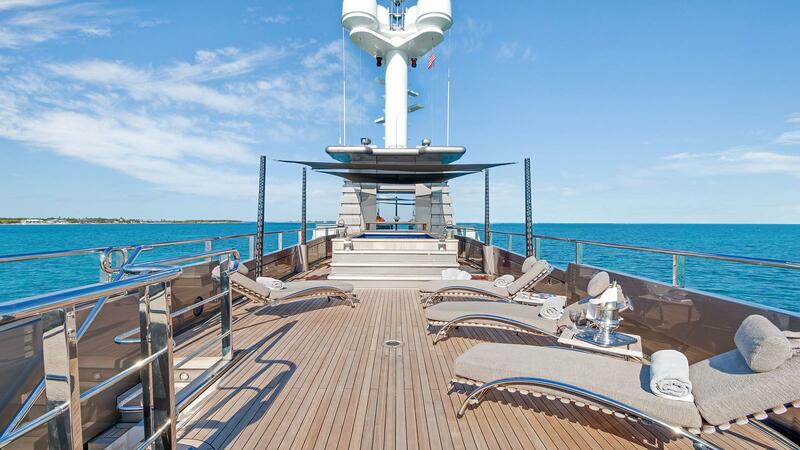 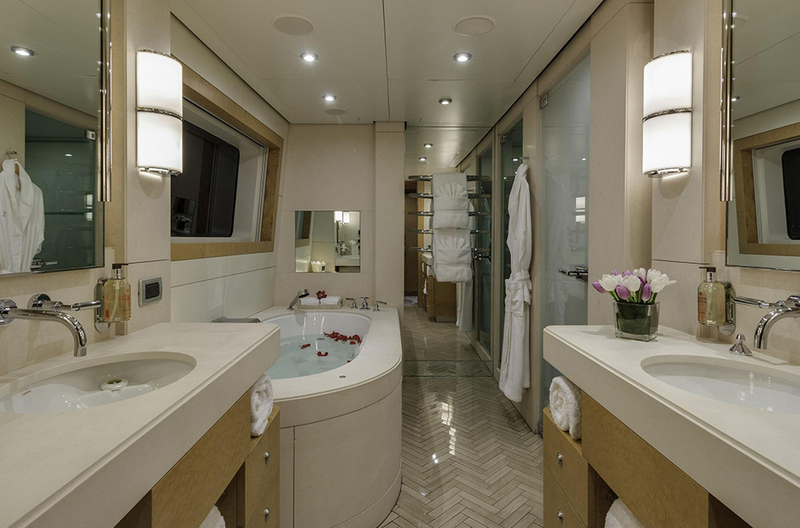 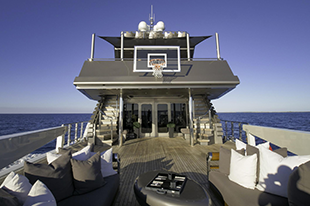 Her contemporary interior spaces are calm yet vibrant and an impressive range of entertainment features, including an on-deck jacuzzi + basketball court, offer guests plenty of areas to play while underway. 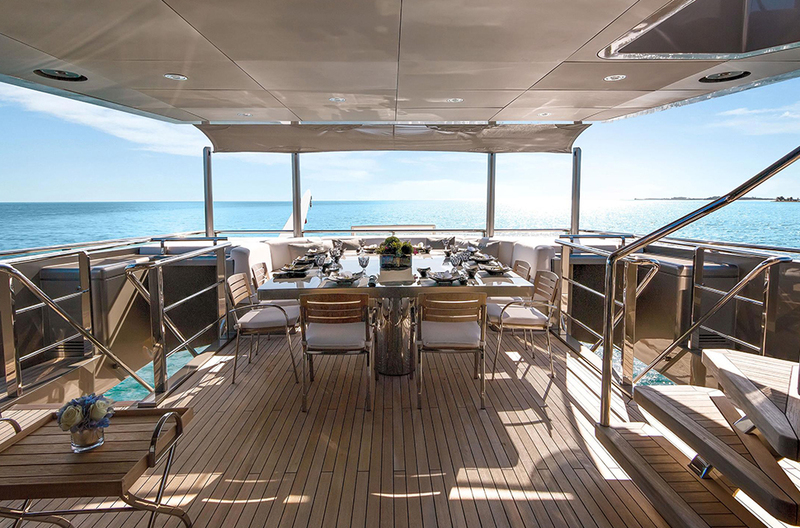 Designed by Sam Sorgiovanni, she was built in aluminum by Australian yard Oceanfast to Germanischer Lloyds class and delivered in 2004. 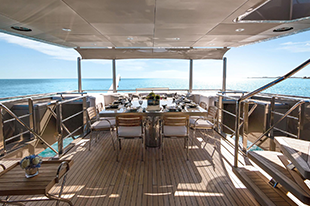 A a major refit in 2016 included an extensive machinery overhaul, new teak decks and a full interior redesign. 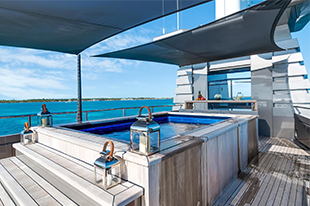 Outside areas are as generous as one would expect from a yacht of this calibre, with highlights such as a 16-person spa tub, a bar and an assortment of sun loungers. 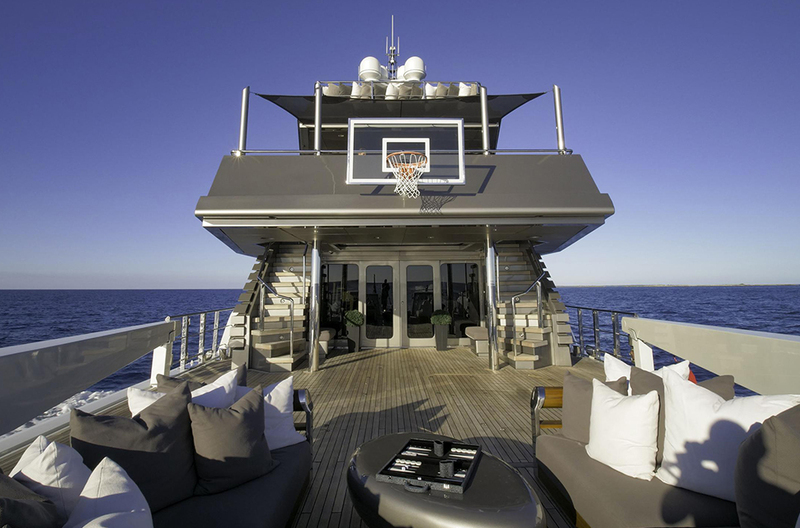 She's outfitted with a wide array of places to entertain, including a basketball court, tons of exterior deck space and a media room. 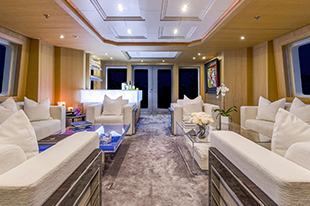 The salon is cozy and evokes a sense of relaxation, featuring multiple armchairs and sofas, as well as two coffee tables and an entertainment center. 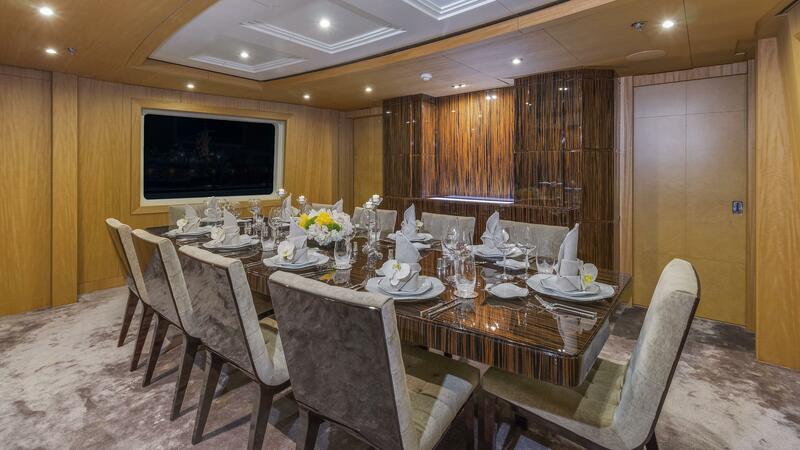 On her bridge deck, you will find the perfect setup for a party, including a dining table offering stunning views + stairs to both port and starboard leading to the aft deck.